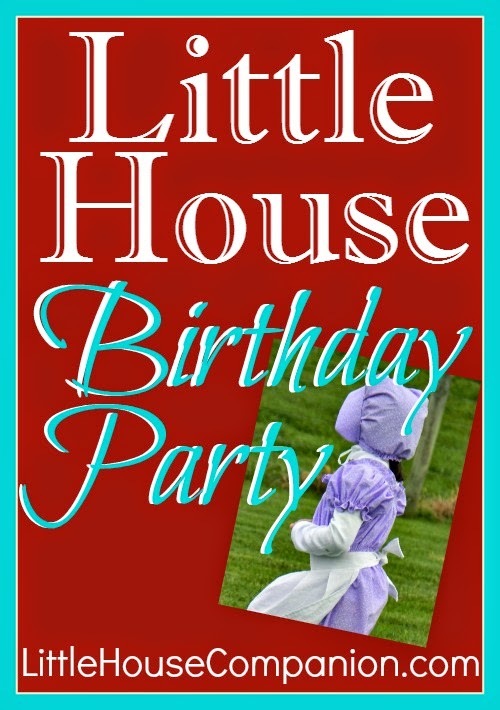 In my opinion, a Little House-themed birthday party should be fairly simple. So when we had our Little House party, I tried to keep it simple while providing a lot of pioneer fun for the party guests. 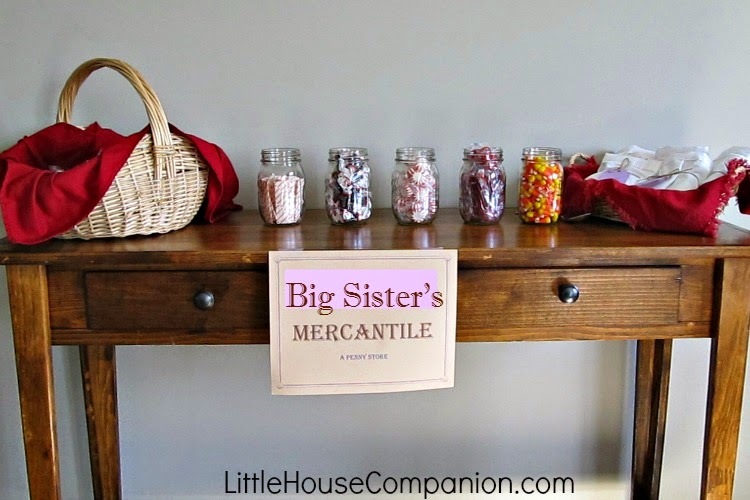 I wanted the decorations to be tied to Little House...rustic and simple, with reminders of the pioneer days and Little House books by Laura Ingalls Wilder. 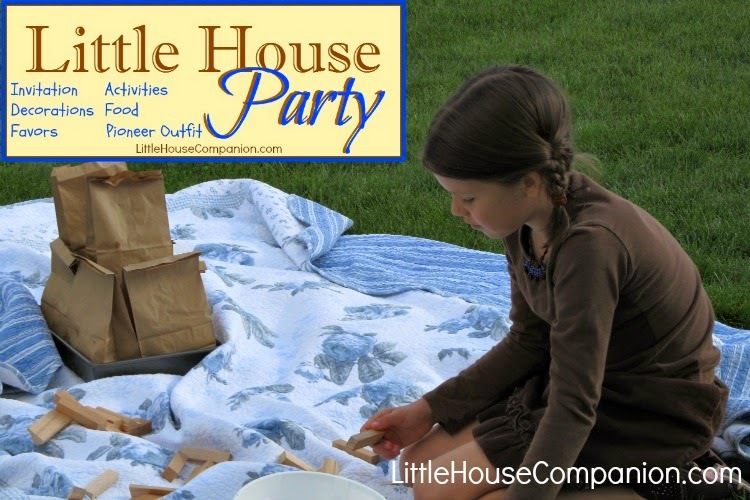 Be sure to check out our other posts about the Little House party. Find all the links at the end of this posts. Most of the party was spent outdoors, so the party decorations were minimal. 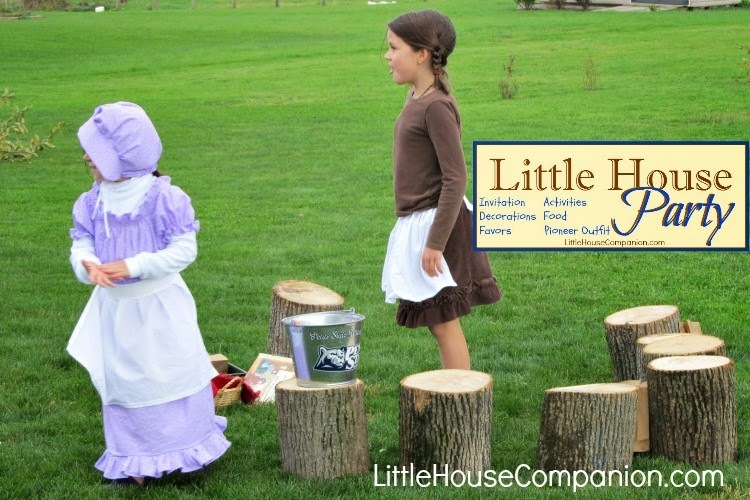 In Little House in the Big Woods, the children enjoyed jumping from stump to stump in yard. Big Sister's great-grandfather helped us out. He provided us with plenty of stumps for the Little House party guests to climb upon. Later, they served as seats. The galvanized pail was used for the garden work...even if it says Penn State. 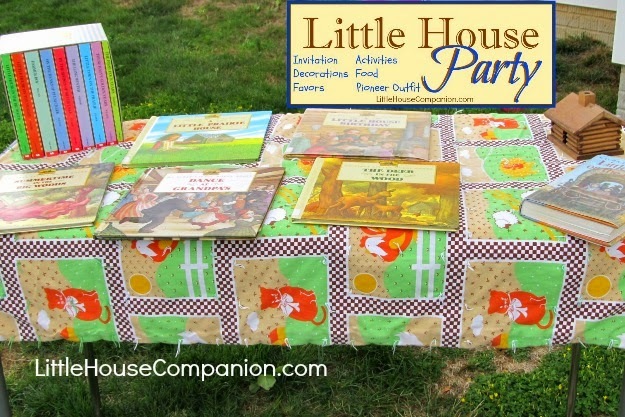 I knew we would have an area with Little House books. Big Sister's new birthday gift of the nine-book set (affiliate link), along with Little House picture books (of our own and from the library) were on the quilt-covered table. The children enjoyed the little log cabin decoration. The guests placed the gifts under the table.